This is a fully tailored solution. The AML360 business risk assessment has focused on simplifying processes and streamlining data outputs. A full data report, matrix and heat maps are provided. 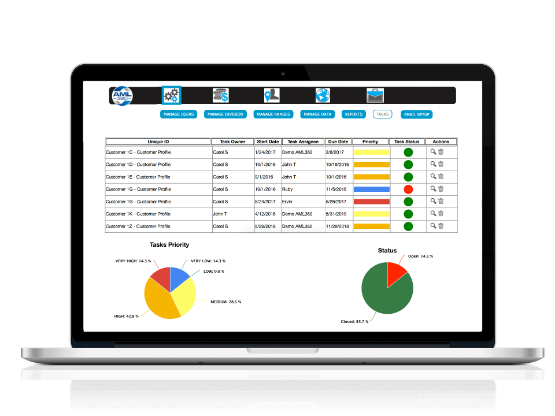 This is a solution for single business entities or corporate groups. View risk across the Group or drill down to branch level. 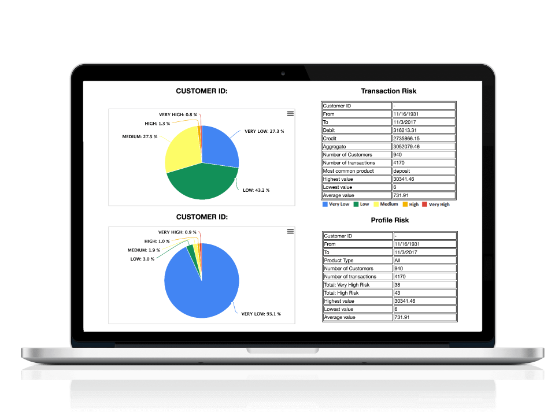 AML360 enables transaction monitoring through a spreadsheet upload. 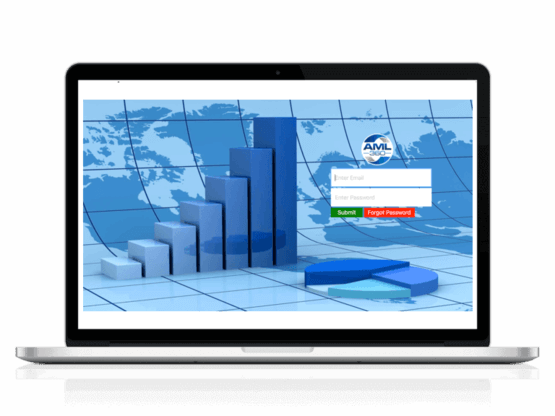 The dashboard provides risk in three categories - transaction, profile and product. Numerous chart options for viewing data, including a Transaction Risk Register. 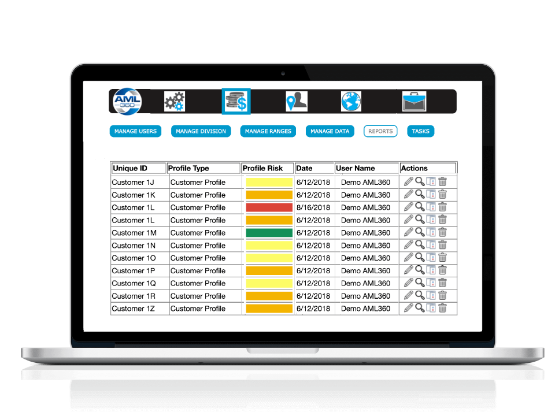 AML360 provides a profiling module, enabling the input of tailored data. Businesses simply login to their account, enter the customer's UNIQUE ID and select relevant data from a drop-down list. 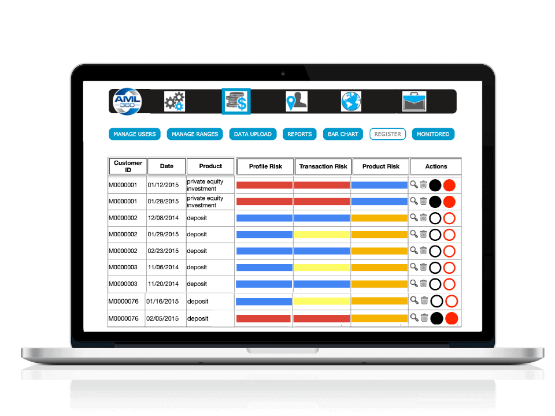 A Customer Risk Register is included. Geography risk may be linked to a customer's residence, country of birth, business operations, place of incorporation or product distribution channels. AML360 eliminates bulky data. File notes with key information save you time. Reputable data sources, including FATF. Use the Case Management feature to set administrative tasks with a priority status. Use for customer updates, profile alerts, or general compliance actions. Record and update progress in file notes. Secure updates through an auditing feature. 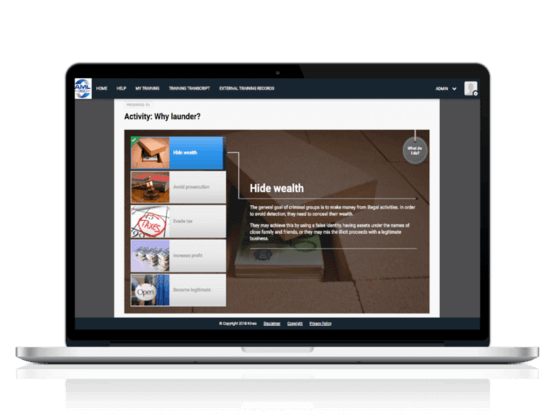 Our online training portal uses a blend of workplace simulations, interactive assessments, audio, images, animation and video to reinforce key concepts of various principles and work practices. The AML360 Outsource solution enables small and medium sized businesses to tap into expert knowledge and utilise risk based technology. We manage your entire AML compliance framework whilst still providing your business 24/7 access to your crucial data. 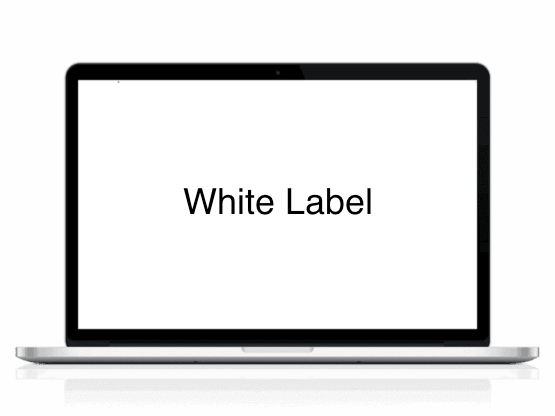 If you are in the business of providing AML compliance services, you may be interested in our white label solution. Provide additional services to your client base, increase customer touch points and generate revenue.